When I saw Madelon Mason on the cover of Yank the Army Weekly, I was intrigued. 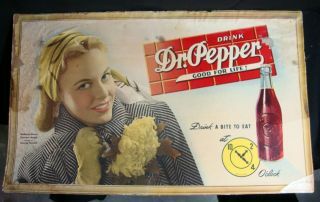 She had such a cute, gentle, girl-next-door vibe, unlike many other more “vampish” cover girls, and I had to investigate. Much like Rita Daigle, Madelon Mason never made any splashes in Hollywood, but she was a very succesful model in the 1940s, earning good bucks for her job. Madelon Samandl was born on July 4, 1921 in Cleveland, Ohio, to Jerry Samandl and Virginia Conway. Her parents married on November 30, 1920, when Virginia was already pregnant with Madelon. Virginia, born in 1901 and just 19 years old, worked as a model before marriage. Jerry was the son of Czech immigrants, Johanna and Vaclac. They lived in their house when Madelon was born, and for the first few months of her life. Jerry had served in World War 1, and suffered from PTSP after his return. Jerry and Virginia separated when Madelon was a baby, but never divorced. Jerry went to live in Chicago. Virginia and madelon moved to Virginia’s native Lowell, Massachusets after the separation. She grew up in Lowell, and graduated from Lowell High School there. She continued her education in Boston (have no idea what college), where she entered the world of modeling. She changed her name to the more english sounding Mason. Before long she ended up in New York, and became a top flight Harry Conover model. She shaved 6 years from her CV and presented herself as a fresh-faced 17-year-old, when in fact she was 23 years when she started modeling. However, this was no great hamper to her – due to her porcelain beauty and natural ash blonde hair, Madelon was soon in the game. 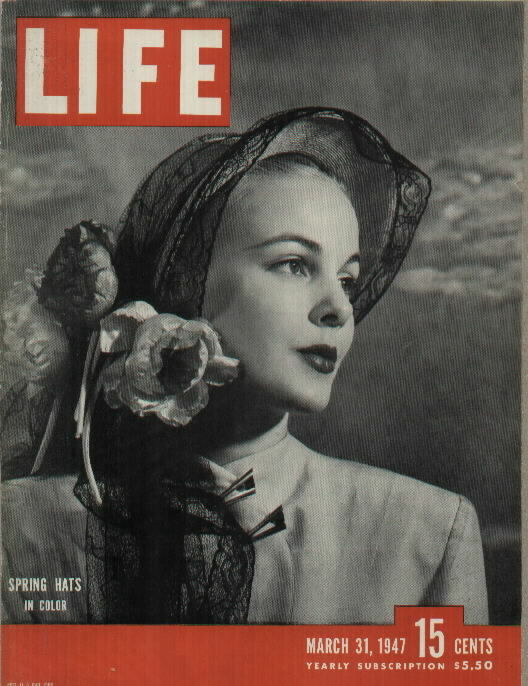 She was a top model by 1945, and this propelled her to a brief visit to Hollywood. Her mother always followed her. I’m not sure if she divorced her father – but I do know that, in the meantime, he moved to Chicago, Illinois, where many of his cousins lived. Madelon is pretty slim in this regard – she only had one appearance that we know of, and a short feature at that! Dear Miss Gloria is a short comedy skit with Gloria Swanson, truly one of the most stunning divas ever to grace the silver screen (while some people just can’t take the pressure of fame and end up deeply unhappy, even dead – Gail Russell is a good example – some people thrive on it and became the most willing participants in the publicity game. Such personalities are much better suited for Hollywood than the gentle, sensitive ones – and Gloria was the woman whom Hollywood suited like a glove. When she was on top, she enjoyed it to the hilt, when the good times passed she reinvented herself. What a dame!). Sadly, the short is completely forgotten today and I have nothing to say about it. Better luck next time! Her newspaper bio from the early 1950s state that she appeared in numerous TV shows, but I couldn’t find any credits, so there’s kaput again. “Make your bath a daily beauty treatment” suggests lovely model Madelon Mason. “Time spent in the tub can be made to serve a double purpose – cleansing and toning up – if you follow the bathroom routine of this model. After a day packed with appointments Madelon comes home, removed her make up, smears a coat of nourishing night cream and slips into a tub of ward water with a handful of lavender scented meal dissolved in it. While she leans back in the tub and relaxes, the meal gently loosens minute articles of rough skin, leaving it soft and smooth when the briskly towels herself dry. Meanwhile, the cream is eradicating any drying effect the weather may have had on the skin. With the stiff nail brush, Madelon scrubs her feet thoroughly, using lots of soap. The friction restored her circulation to normal, and the soap softens any rough patches of skin on the soles of her feet – thus preventing callouses and corns. Also, as an aid to circulation,she scrubs her back the entire length of her spine. A cool rinse, a sparkling of talcum, and she’s ready for an evening of fun! Truly, Madelon was a homegirl, living with her mother in Manhattan, avoiding nightclubs and making very good money of her looks. She earned about 400$ a week during the height of her fame, much better than alternative jobs offered to women in showbiz – being a minor actress, or being a showgirl. In 1951, she was named one of the overall beauties of the decade, along with such luminaries like Rhonda Fleming, Virginia Mayo, Blanche Thebom and Faye Emerson (while Rhonda and Virginia were incredibly beautiful women, I never found Faye to be a stunner – she was a woman with great personality and talent more than a looker, but to each his own). 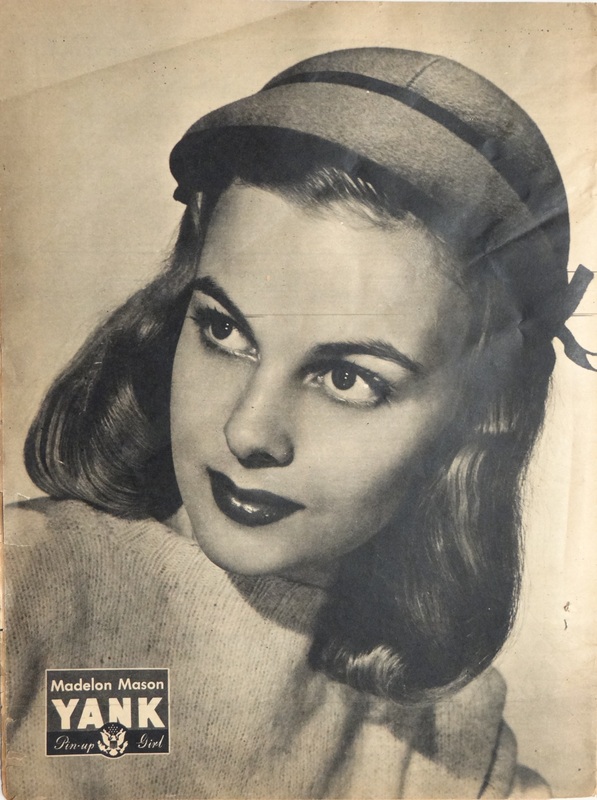 While much of the publicity in the 1940s and 1950s was make-believe, Madelon truly was an earthy, calm person who never made any newspaper fodder. 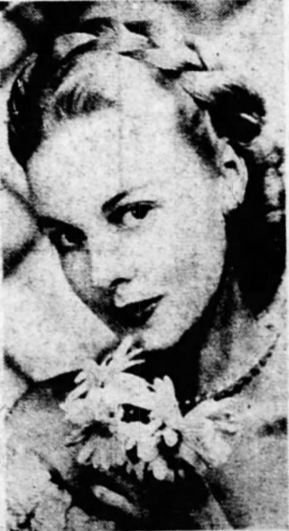 Her love life was a completely mystery to the public until she married her first and only husband, Frank Foster in late 1956. Frank worked in the lobster-shirt (a popular name for the shift that covers the late evening and early morning hours) of some newspaper (they just called it News – maybe New York news or something similar?). Madelon gave up modeling work to dedicate herself to family life. Sadly, I couldn’t find any information about who Frank really was, or did they have any children. Madelon Foster died on September 14, 2011, in New York City, New York. PS: Happy new year!! 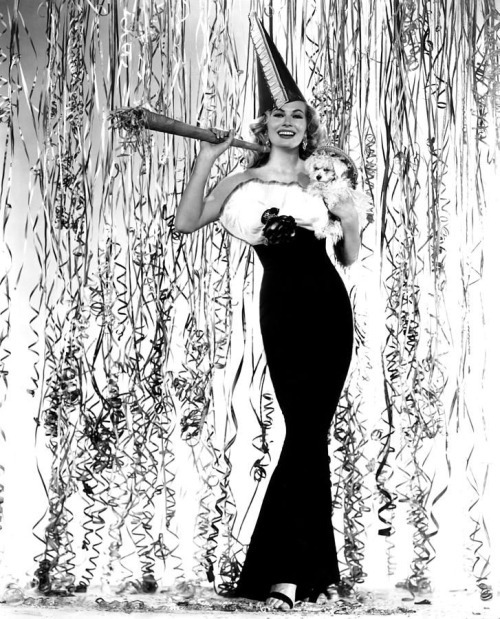 All the best in 2016!!! Lovely tribute – keep up the good work! California when I was 10months old in 1945 I never had a chance to meet Madelon. By the way Madelon Samandl was her name. Johanna and Vaclac Samandl were her grandparents. Their names are on the wall on Ellis Island. You have some mistakes on Jerry Samandl, he was my uncle. He was born in Ohio not Massachusetts. He lied about his age so he could join the army in World War I. PVT 304 Field Hospital 76 Division World War 1. He was wounded and came home with some of the same problems that our current veterans have. Jerry, Virginia, and Madelon lived with my grandparents Johanna and Vaclac in Ohio in a two story house on Broadway st. My grandfather was a Forman of the largest Crain factory in Ohio. I don’t think that they were ever divorced or that either of them married again. We don’t have any cousins that I know of in Chicago but that is where Jerry ended up. Virginia took Madelon to Lowell where her family lived. Thank you Elaine for the information, I’ll correct it. Do you know what happened to Frank Foster?